Do you make your living supporting others? If you’re a professional tech or consultant supporting Apple technologies, MacTech Pro Events are designed specifically for you: the professional Apple tech. What are MacTech Pro Events? MacTech Pro Events are the next incarnation of MacTech’s successful regional events — but with a specific focus on the professional Apple tech, sysadmin and consultant. With an all new curriculum built from the ground up, the event benefits both return attendees and those that have never attended a MacTech event. These events, held around the country, are specifically designed for those that support others who use Apple technologies including sysadmins, consultants supporting small-to-medium sized business, and those that support others in their organization. MacTech Pro Events are single-track, hotel-based seminars that are specifically geared to serve the needs of consultants and techs wanting to better serve their base. MacTech Pro Events are located throughout the United States and are easily accessible not only in the local area, but in the US region through major airports. See the full list of locations and sign up today for a city near you. See full descriptions, and more details on our topics page. MacTech’s regional events have attracted a continual stream of expert speakers and sessions chairs to bring the most to our peer-reviewed, signature curriculum. With a focus on speakers from each region, it’s not often that so many experienced individuals are brought together for a jam-packed series of sessions and information. See our sessions chair team listed by city. 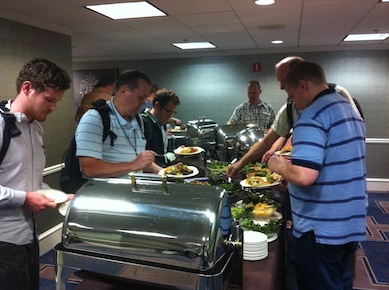 MacTech Pro Events are good both for those that have previously been to MacTech events, or are new to MacTech events. How do MacTech Pro Events differ from other MacTech events? Our flagship, annual MacTech Conference is a multi-day conference targeting IT Pros, Enterprise, and consultant community. Where MacTech Conference talks about issues for large organizations, MacTech Pro Events are specifically designed for professional consultants and techs who primarily spend their time on the small to medium sized business, support organization, SOHO and consumer market. 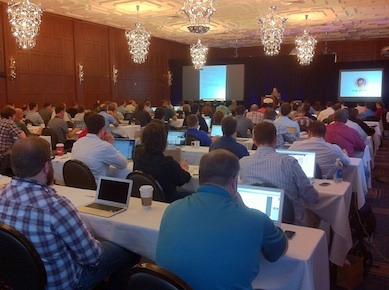 MacTech Pro Events are economically priced at $499. We strongly encourage you to register prior to the event as there are a very limited number of onsite registrations available. The earlier you register, the more you can save. See how pricing works or better yet, Register now.